Wienerschnitzel celebrates Easter on Sunday, April 1, 2018 by offering a deal of 99-cent Chili Cheese Fries. The promo will be available all day on Sunday at participating locations with an limit of five orders per customer. 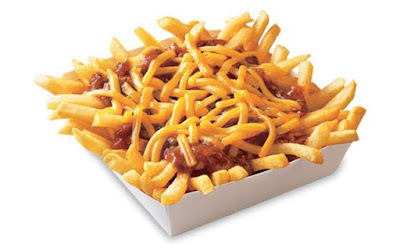 Wienerschnitzel's Chili Cheese Fries come topped with their signature chili and shredded cheddar cheese. It normally sells for $3 or so (may vary).